Evacuation of children from major U.K. cities begins. The BBC Home Service begins broadcasting but BBC Television shuts down until 1946. Declaration of war by the United Kingdom on Nazi Germany following the German invasion of Poland on 1 September. Shortly after 11.00, Chamberlain announces this news on BBC Radio, speaking from 10 Downing Street. Twenty minutes later, air raid sirens sound in London (a false alarm). Chamberlain creates a small War Cabinet which includes Winston Churchill as First Lord of the Admiralty. 1939 in the United Kingdom – Wikipedia, the free encyclopedia. via Larry Kramer Lives to See His ‘Normal Heart’ Filmed for TV – NYTimes.com. Amazing all around. Thank you, as always, for the fantastic perspective and inspiration. Age brings context, it would have been hard to have been alive at the time and not touched on the world crisis. What’s interesting is that T. H. was a conscientious objector, and lived out the war in Ireland… Still. He spoke out in his way. Excellent! I am not getting old, I am becoming more “contextual”! I love it. When you get to be my age I’ll tell you all about it 😉 ! Just finished your book. Loved it, couldn’t put it down!!! Thank you. Mary K. McCarthy! I am delighted to hear that! Please tell you friends, and would you do me a solid and say that on Amazon? Great insight. I haven’t read that book since I was a teenager. I should reread it. I’m consoled that it took him 20 years to write it. I feel with my own writing the clock ticks ticks and I am running out of time. Nice post, Vickie. The first novel was set in 1900 and four protagonists told the narrative switching one chapter at a time. It was great. That is, it was a great experience for me as a writer to do that. I’ve thought of John Jakes and moved the story line to 1927. One of the characters has moved forward to play a smaller role in this story while 3 other characters are introduced. I thought I would do this pattern until I got to the present. It would be a set of novellas which depicts the historical climate of the 20th century. A lofty goal indeed! I have to make the big decisions regarding POV and bringing forth themes or not, motifs or not, what universe am I creating? Then, I love blogging, it’s immediate gratification and I can “talk” to virtual friends. By the time I create a post or respond to the reader, free time is gone. There’s work, family obligations, and in the past, the only way I could follow through with a goal is by getting up at the wee hours. That’s where the writing was slotted. Now my health is a risk, I’ve grown thick around the middle from sitting at a computer too much. So I slot in exercise and that takes away from blogging and writing. I can’t seem to find an equitable time table. Then there’s that part that is sick of time tables and an inability to relax or lighten up (I’m so serious!) and my obsession for efficiency. I feel like I’m wasting time, all the time. Ugh! Neurotic to the bone ;). Meanwhile, there’s my novel, set in 1927, the characters are nagging at me to let them breathe and come to life. Aren’t you glad you asked, bossy pants? Listen to your characters, I want to read this novel you’re working on. You do have a packed schedule, I keep reading through it… Maybe lighten up on the blogging? Hey, and when you get to be my age you’ll wake up in the wee hours whether you like it or not ;). Books for little people are often about the biggest things. Think CS Lewis, or Alice or even Tolkein (if you must). Charles Kingsley is as visually eloquent on malevolence of Victorian unfettered capitalism as Dickens, its just his words aren;t so grandly strung together. Mr Kramer is a hero, not a word to be used as lightly as it so often is. Though I wish people remembered him too for marshalling DH Lawrence’s prose Ken Russell’s demented genius to bring ‘Women in Love’ to the screen. Oh my gosh, I haven’t seen that movie in years. I do remember stories I heard about Mr. Russell on set when I became an adult—whew! And, I’ll just leave it at that. “The Water Babies”…I fell in love with the illustrations before I read the book. And the ones by Jesse Wilcox Smith make even an abused young chimney sweep look adorable. I wonder if that was a calculation to draw in a children’s audience to a pretty gruesome story? And he is a hero! Mr Dickens career would seem to counter that assertion of Mr Kramer’s… the death of Joe may be an exploding vat of treacle, but it did as much as one hundred parliamentary debates and a thousand pages of press prose to wake the world up to the plight of the urban child poor. That’s the key! I suspect you’ve hit on the most effective tool, and perhaps it’s treacle and pathos. “Treacle and Pathos”? Wasn’t that an episode of Oprah! or Little House on the Prairie?! I love this post, I have never read The Once and Future King (tho’ you make it sound like I should) but your perception of the shifting perspectives that life brings (and I am sooooo oooold!) is so true, while your rundown of all those events in the World is powerful. Many of the best novels (not simply those supposedly aimed at children) are janus-headed, they present two faces, one that you see straight away and the other that is much less easy to perceive. No, it’s on the BBC! This may be the summer I reread all the childhood greats, that sounds really appealing. 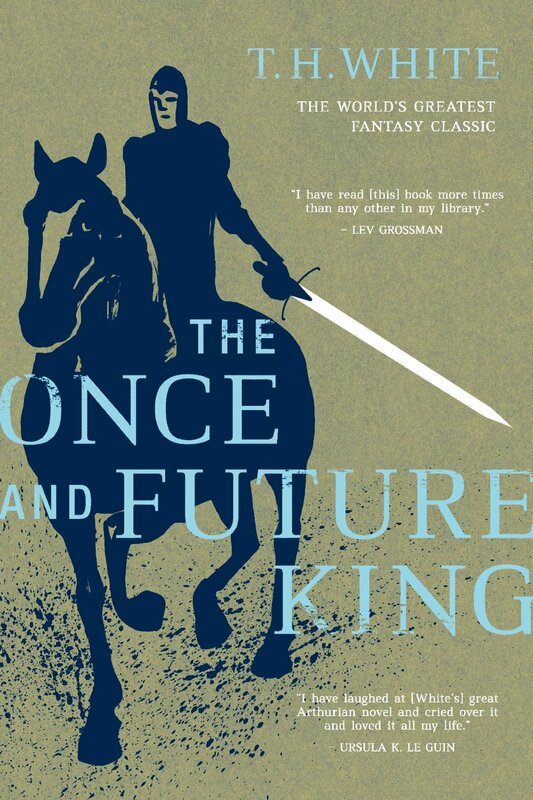 If you read The Once and Future King do you have a suggestion for me? The Wind in the Willows?